Whether you are interested in organizing a golf tour or a golf pro who wants to put a golf package together, Scherer Tours offers you, literally, the world. Beyond golf in Europe, we have escorted golf groups on 4 continents, providing you with experience you need to maximize your golf trip. Each country boasts unique features. For tradition and the links golf experience, we recommend England and Scotland. For the best weather, Cyprus cannot be topped. For an experience of a lifetime, we recommend South Africa. For golf and culture, we recommend Morocco. 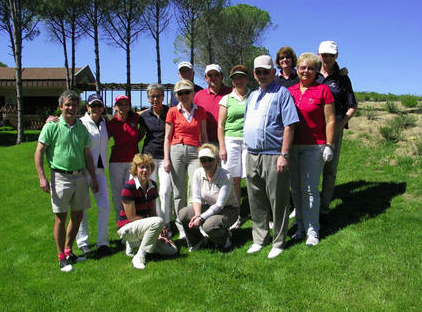 For ease of travel, and a variety of courses, you cannot beat Portugal or Spain. For a trip with total golf -offering 5 courses within a 3 iron from your 5 star hotel, you must visit Florida. And, to get the best value, we suggest Turkey. Since we also share the passion, we know what golfers want: from guaranteed T-times to late lunches, to shuttles from the hotel to the first tee. In short, we can find the best golf destination to match your needs.